Hello again everyone and I hope you are having fun with your vacation planning for 2019 and possibly beyond. There is such a choice out there and right now the world really is our oyster, as they say. 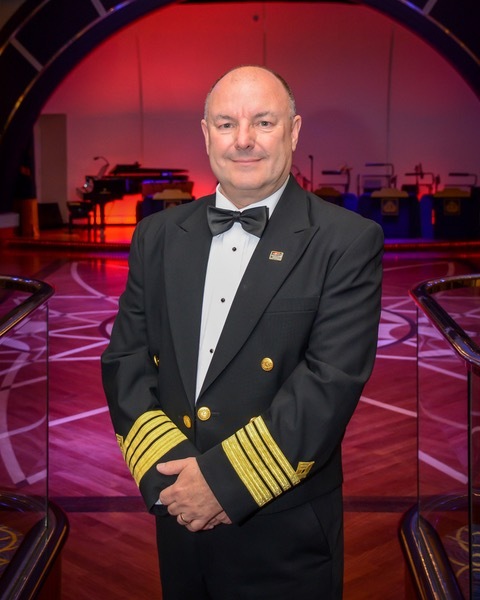 To make the decision even more exciting, new cruise lines are starting up – Virgin Voyages are currently building their own cruise ships and Ritz-Carlton have commissioned a series of small high-end boutique yacht like cruise vessels. There are others too and they will only enhance the tremendous choice of cruise ships already sailing the world. Myself and my wife Dawn-Marie are fortunate enough to be heading off to South America on January 15th for an 18 night “overland” trip rather than a cruise; as that has been my career for the last 40 years, it’s very nice to be trying something different and land based..!! Specifically, we are heading to the spectacular destination that is the country of Chile. 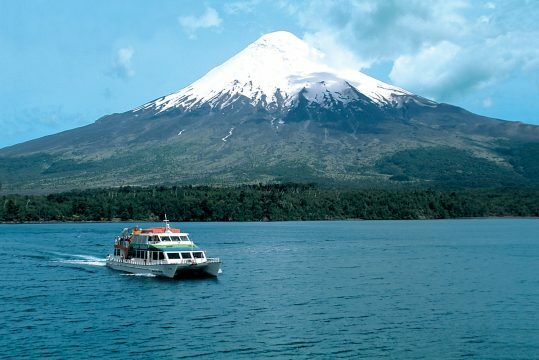 We are so excited to be able to take in the amazing scenery out there and we will be based in the “Los Lagos” part of the country, which is essentially the lake district of Chile, where there are National Parks, volcanoes and we also hope to make some trips to the wine making areas – something I’m particularly looking forward to..!! The photo accompanying this blog is from visitchile.com and shows some of the amazing scenery in the Los Lagos region of the country. Chile is undoubtedly one of the more unusual vacation destinations, and I hope to write about and photograph the story of our trip there, but apologies in advance if I don’t get to post my blogs until I return home at the start of February. A while ago I wrote about how many sayings we use in everyday language had their origins in nautical situations and this prompted one of our readers to ask me what the purpose of the “crow’s nest” originally was, on the sailing ships of old. It’s an interesting one, because the crow’s nest was originally a resting place for the sailors high up on the tall masts of the large sailing ships, which was also useful as it could be used as a lookout position, as one could see further from the higher level. Sailors also realised they could keep crows or ravens there to help them determine where the nearest land lay in times of poor visibility, such as thick fog. A crow was released and the navigator plotted the course that the crow took as it flew away from the ship, because it inevitably headed straight towards land “as the crow flies”, which is of course another of our current everyday sayings! To this day some of the high-up bars or lounges at the forward end of cruise ships are named “The Crow’s Nest” because they have some of the best views! I do hope you found this interesting and whatever your choices might be, enjoy making your next vacation plans and don’t forget that The World’s Greatest Vacations is always there to help inspire you!